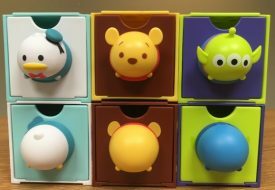 Disney Tsum Tsum in Singapore ! Disney Tsum Tsum Machine is now available at :1) Virtualand Bugis Junction #B1-262) Virtualand Serangoon NEX #04-653) Star Factory Jurong Point # 03-25B4) Virtualand Tiong Bahru #04-101Come and have fun !!!! While we’re still wondering how exactly to pronounce “Tsum Tsum”, word of a huge event dedicated to all things Tsum Tsum has rolled around. 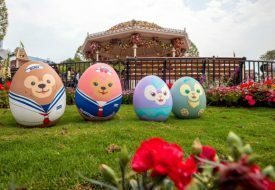 The Tsum Tsum carnival, which will be held across 14 CapitaLand malls in March, will be launched on 2 Mar, 5.45pm, at Plaza Singapura’s Atrium. 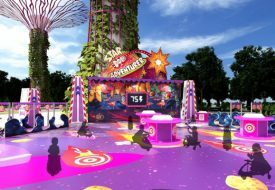 It will feature activities and programmes like towering displays of the stackable Disney characters, a Clockwork Tower that comes to life every hour and an interactive Power ‘Em Station. On the same day, a larger-than-life Tsum Tsum Parade will march at Bugis Junction, Bugis Square Level 1, at 4.30pm.